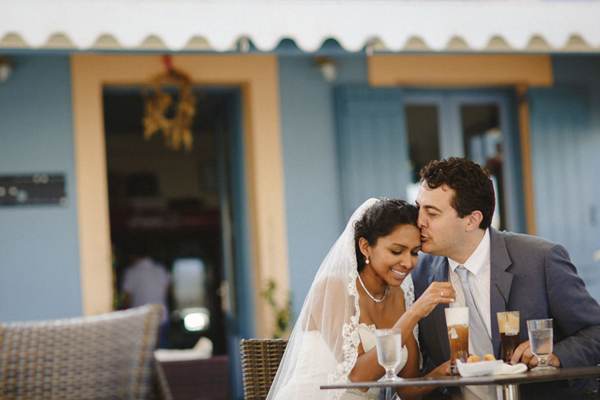 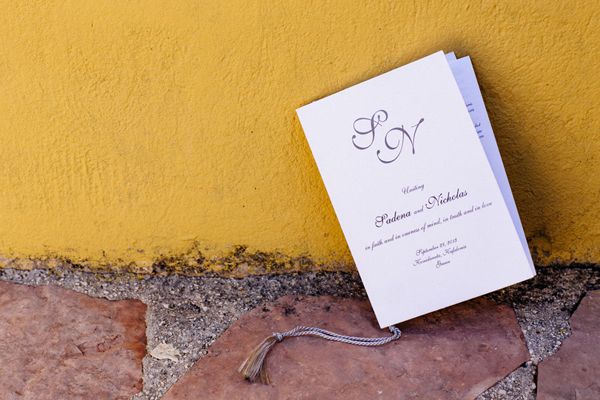 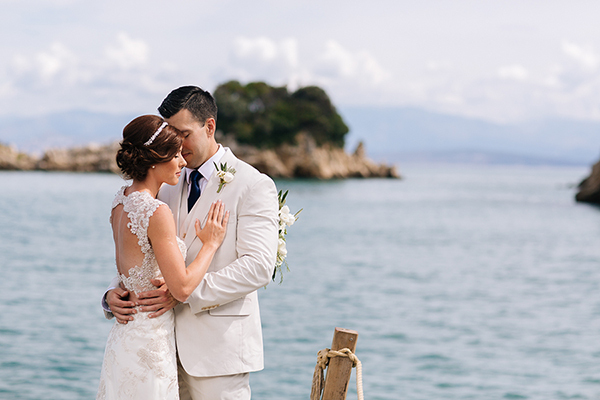 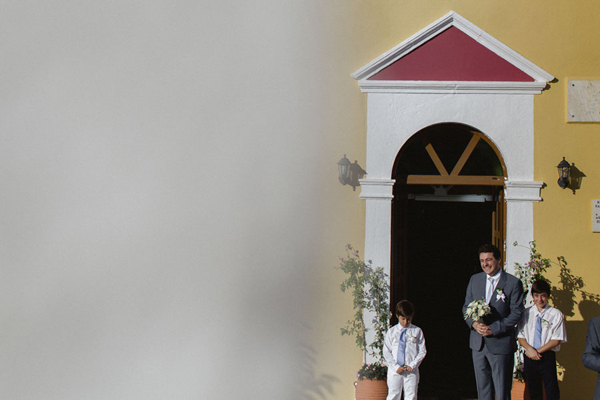 Sadena and Nikos planned an elegant wedding in Kefalonia, a gorgeous island of the Ionian Sea. 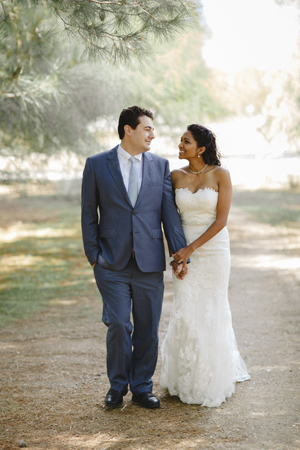 A perfect setting for such a beautiful and charming fall wedding. 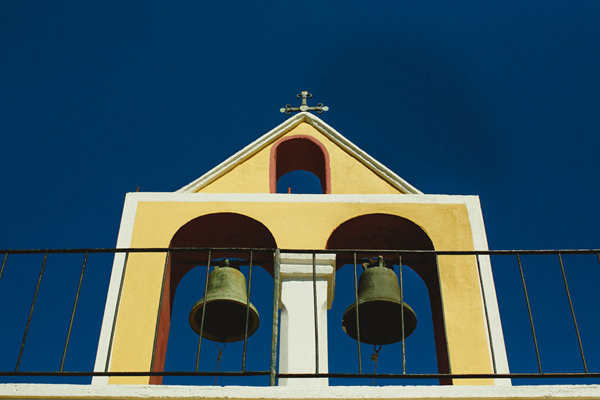 A stunning Greek island with with exotic beaches, picturesque villages and even Medieval castles. 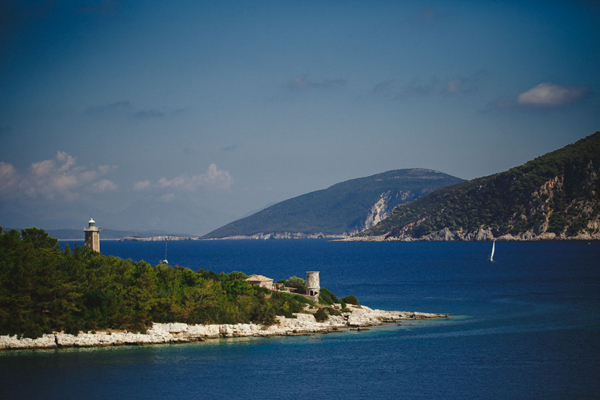 Kefalonia was the island that was chosen for the filming of the Hollywood movie “Captain Corelli’s Mandolin”. 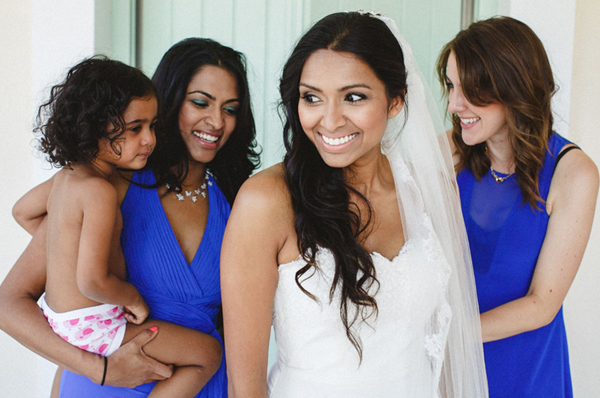 The bride wanted her makeup to look subtle and natural. 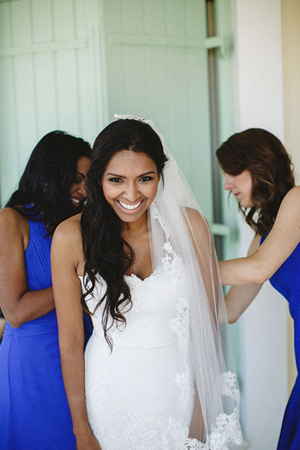 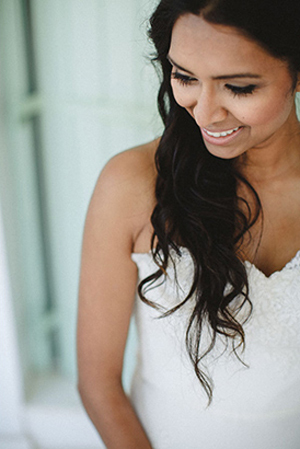 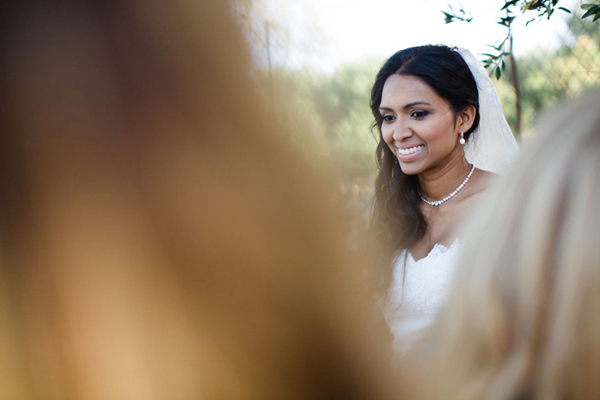 Make Up Artist Mika did an amazing job creating the perfect natural wedding makeup look. 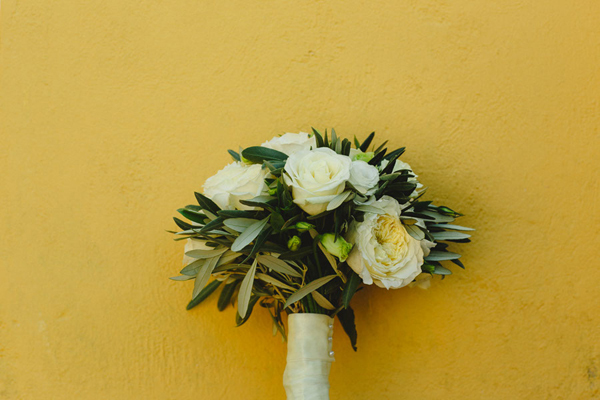 The bridal bouquet was a beautiful arrangement of ivory David Austin roses and olive branches. 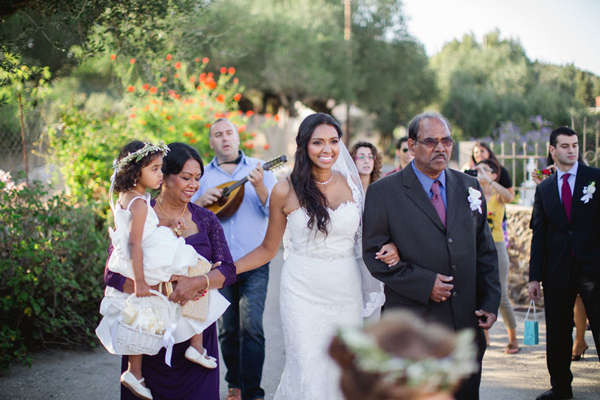 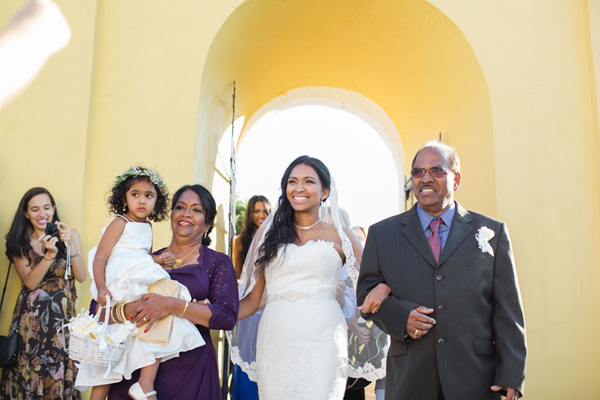 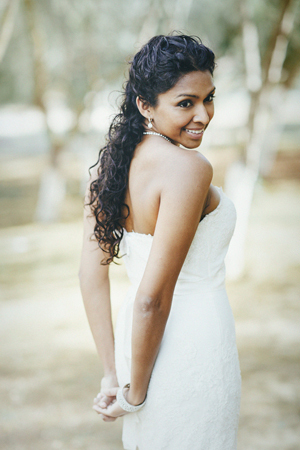 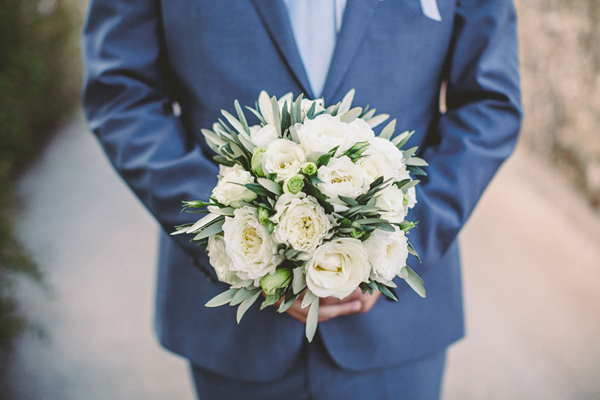 « My wedding flowers were so lovely that I wanted to hold my bouquet even days after the wedding!» Sadena told us. 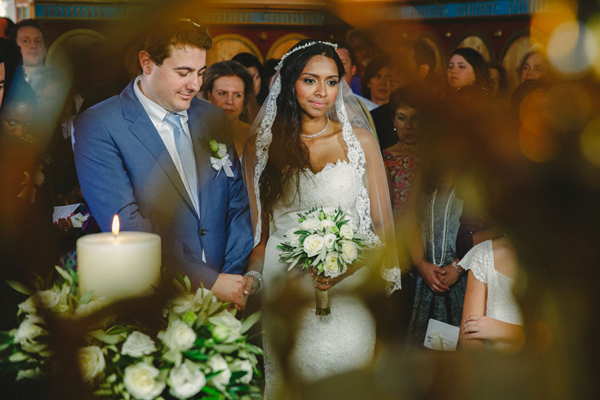 Sadena was wearing an elegant mermaid style wedding dress. 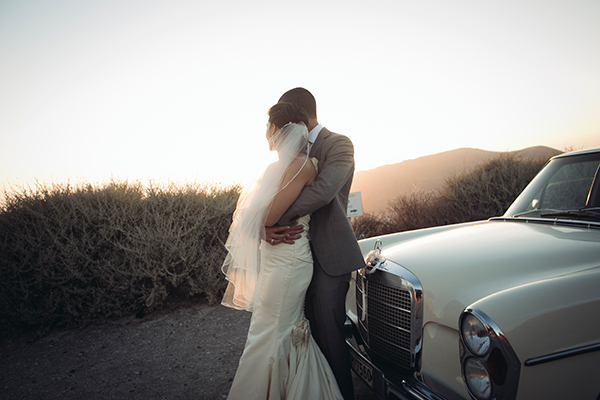 An incredibly romantic design by Enzoani. 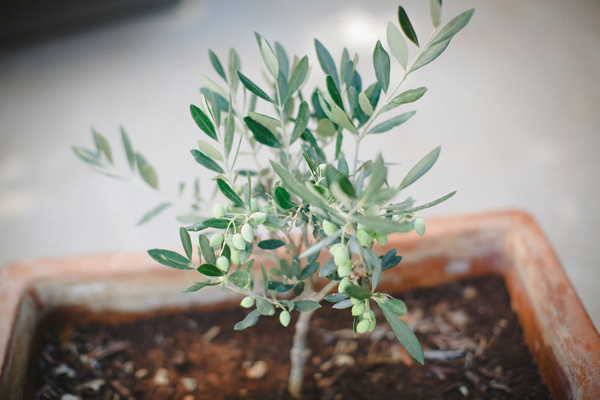 The elegant wedding in Kefalonia had an olive branch theme, as Sadena truly wanted her wedding decoration theme to be timeless and chic. 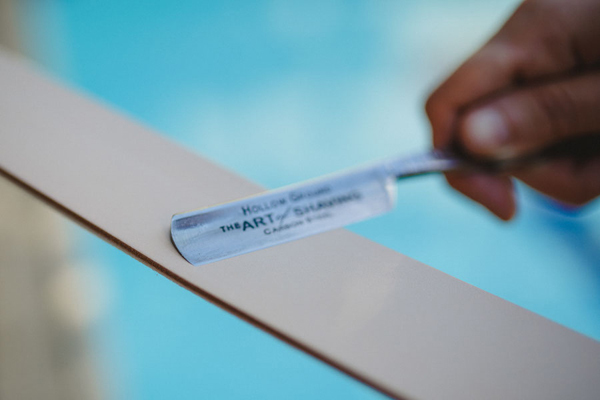 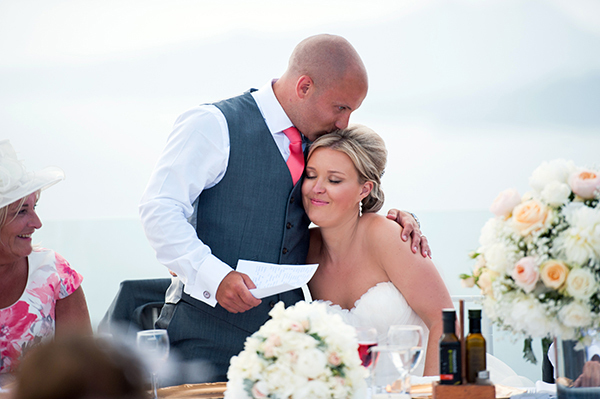 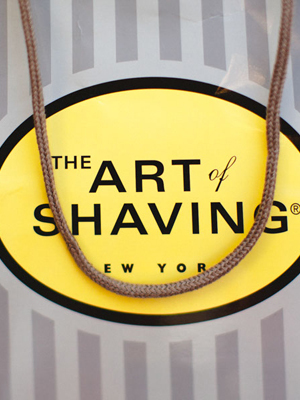 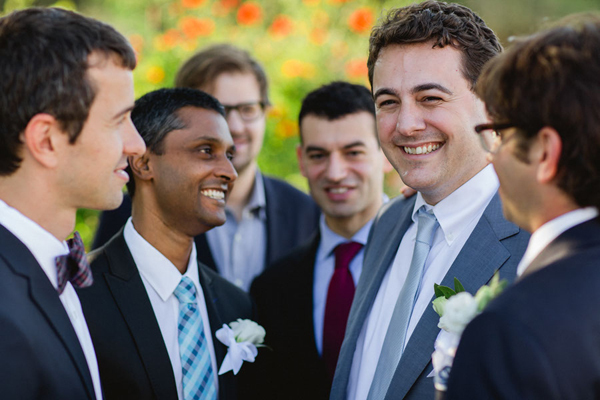 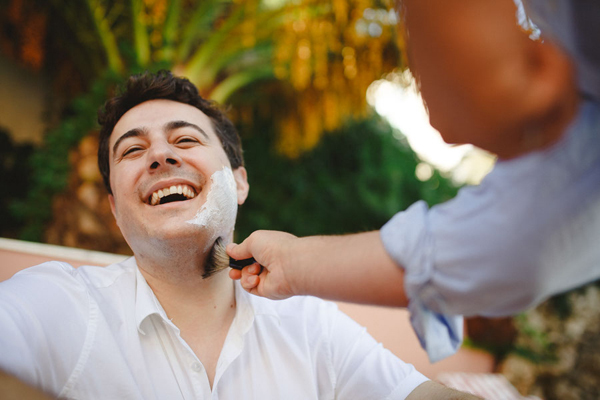 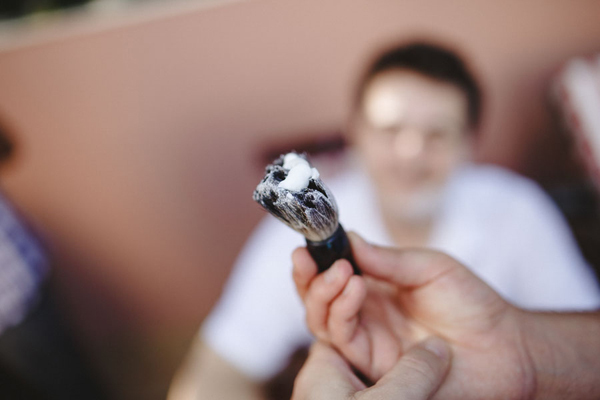 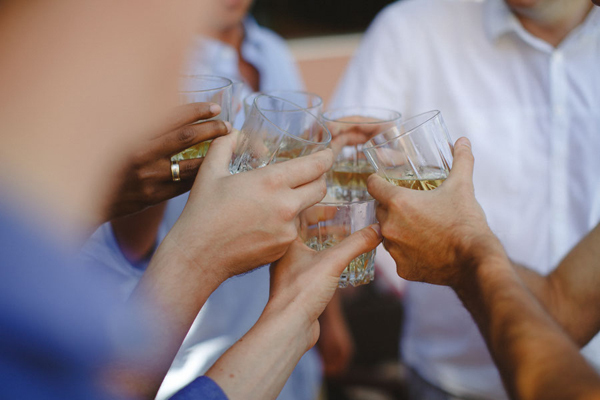 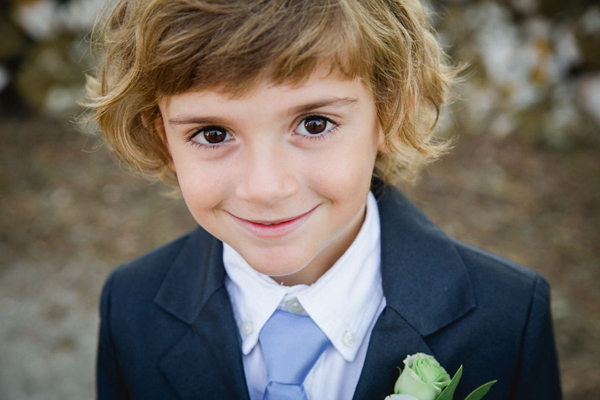 “The shaving of the groom”…is a Greek wedding tradition where the best man shaves the groom’s face before the wedding! 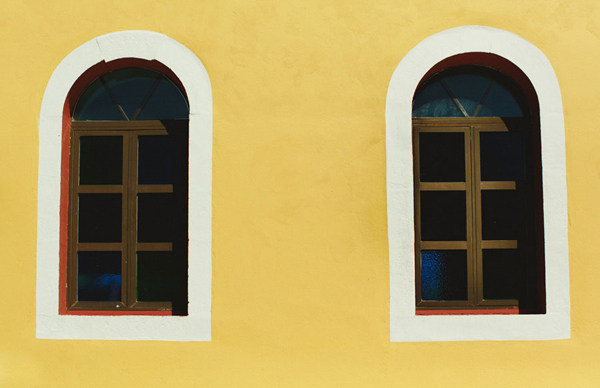 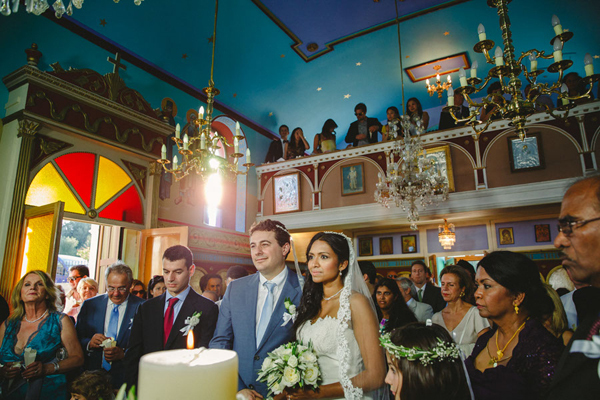 The wedding ceremony took place in the beautiful and colorful church of Agios Gerasimos in the village of Konidarata. 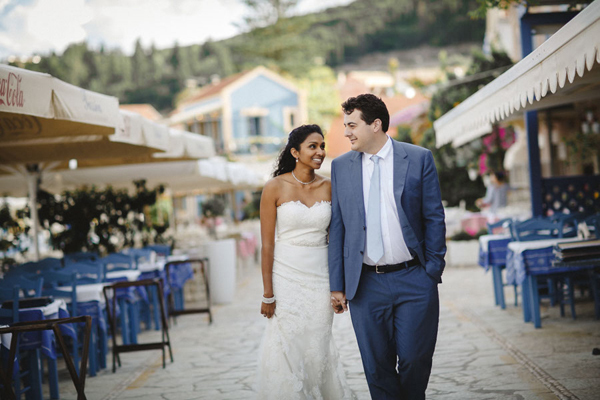 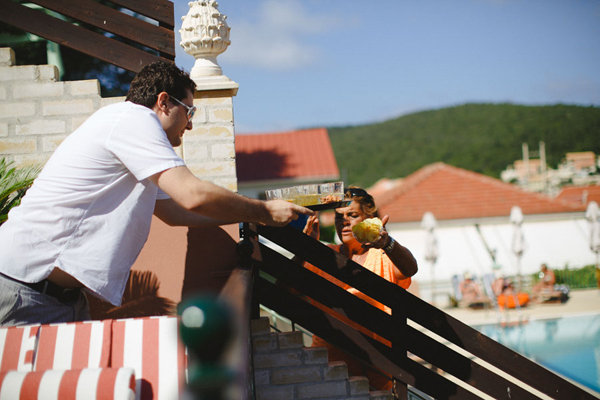 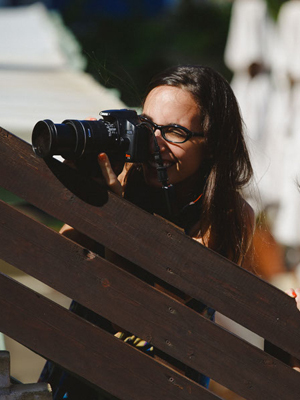 Sadena told us that she had valuable help to organize her wedding in Kefalonia from her mother-in-law and other family members that live on the island. 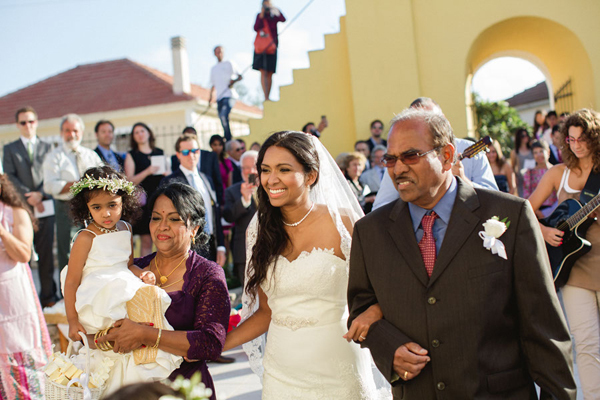 One of the most beautiful moments for the bride was: “Right when I met my groom and we walked into the church together, followed by our family and friends. 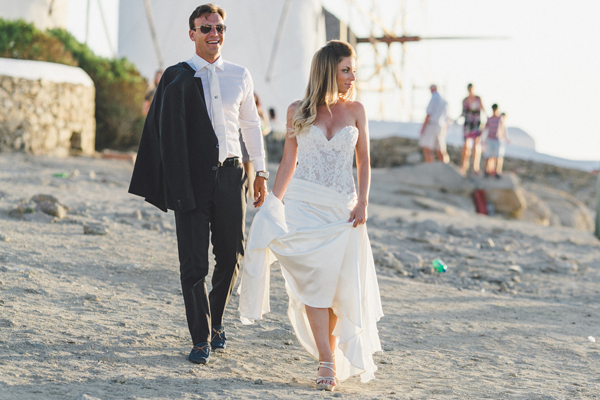 Once I was by his side, I felt elated and knew the rest of the ceremony (and our lives) would be wonderful as long as we were together. 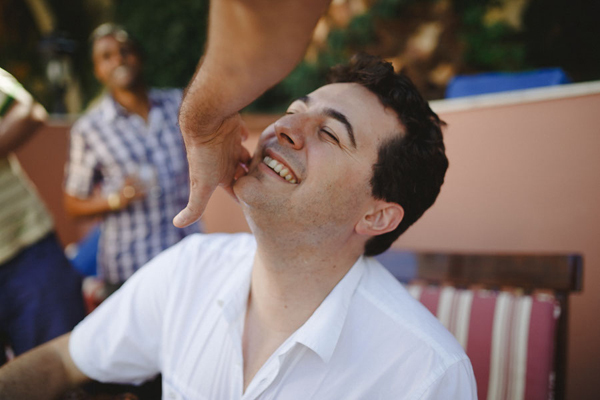 The funniest moment was definitely during the Dance of Isaiah! 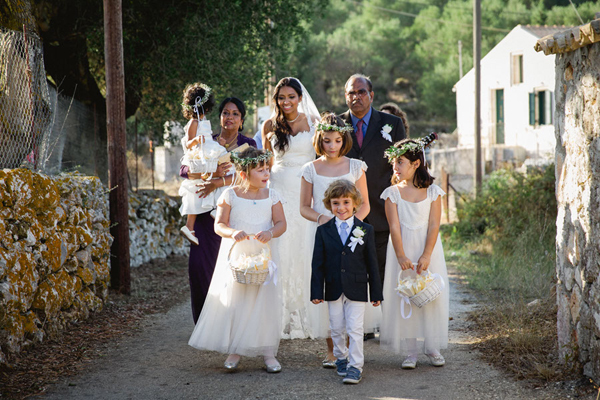 I had never seen so much rice- and everyone threw it hard!”. 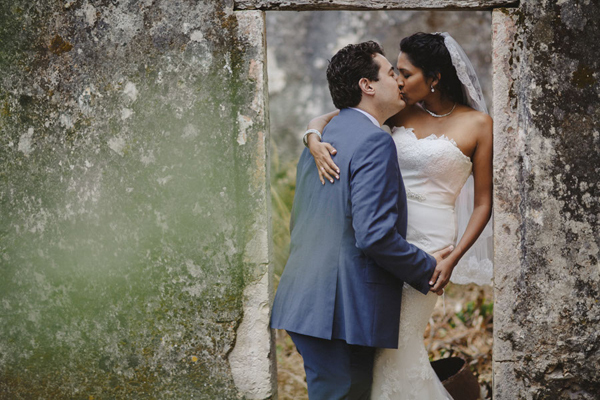 How cute are these two?! 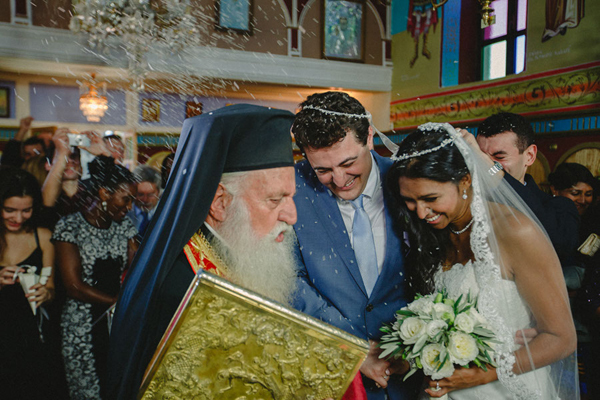 Love this wedding.